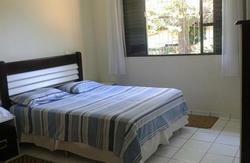 The Santa Clara hostel is a family run business offering a warm welcome to all of our guests. Our English speaking receptionists can provide detailed information on the best the city has to offer. We are situated just one block away from the bus terminal with easy links to the city and beyond. We are in a safe location and near to bars and restaurants where you can feel free to take advantage of their happy hours! We would like to inform you, that we have a free pick up if you need it. If you travel with bus, please write me, witch bus company, and what time will you arrive here. We are located directly next to the bus terminal, so it is no problem find us. However, if you arrive by plane we can send someone to pick you up. Please let us know your flight number, and the time of your arrival, that we can arrange you a car. We would like inform you, that we have a tour to Pantanal as well. If you would like reserve this or you need more information, please contact me again. The hostel is located just one block from the bus terminal. Take a left out of the bus terminal and continue for one block, take the next left and the hostel Santa Clara is located halfway down the street on the left. You are always welcome to drop by our information desk within the bus terminal for a map or further assistance.